Vaillant Advance is a network of fully trained, independant installers. Provide expert knowledge to find a Vaillant boiler that’s a perfect fit for you. Provide a free, no-obligation quote. *Offers vary depending on the model you choose. ‘Combi’ is short for combination, because the boiler does two things in combination. It heats water and provides central heating to your home. 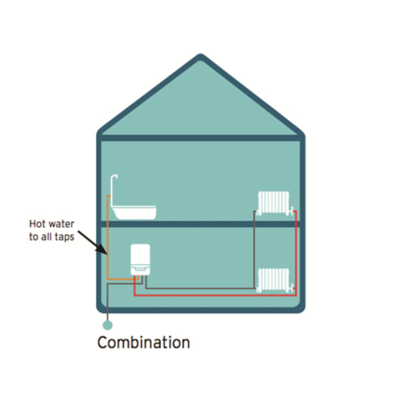 Combi boilers heat water as you draw it from the tap. They don’t need a water storage tank because the boiler’s connected directly to the water mains, heating water as it’s needed. Combi boilers are cost effective and energy efficient, with a compact size that’s ideal for smaller properties where space is limited. Because there’s no need for a water storage tank or a hot water cylinder, a combi boiler can free up space for conversion, storage and living. System boilers – also known as sealed system boilers – need a water cylinder to store hot water, which usually sits in an airing cupboard. In a system boiler, the heating and water systems are built into the boiler itself – there is no need for a water tank like you would need for a regular boiler system. 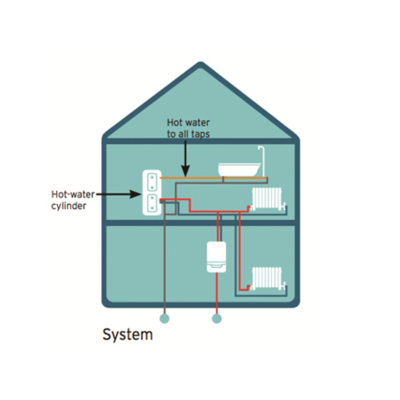 System boilers are ideal for homes with more than one bathroom, and can give a constant supply of hot water to any number of taps at the same time. 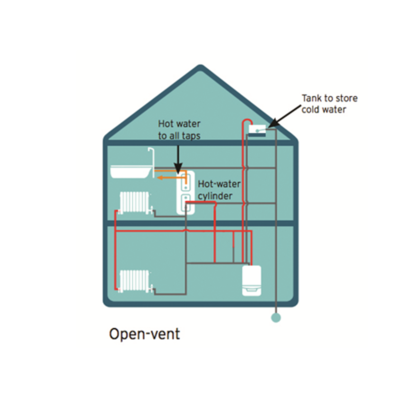 Regular boilers – sometimes known as open vent, heat only or gravity-fed boilers, provide central heating and hot water through a hot water storage cylinder, often found in an airing cupboard, and cold water tank usually found in the loft. If your home has multiple bathrooms, open vent boilers are perfect as they can provide a lot of hot water at the same time. Open vent boilers work well if you are replacing an old open vent heating system, and are ideal if water pressure is low in your area.